The percentages below are each publisher’s overall visibility in the month under analysis. The News Dashboard reveals the Top 5 most visible publishers in the Mobile News Box for April 2018. 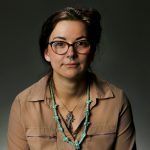 For this analysis, we are considering the entire Mobile News Box – both the text links and AMP and non-AMP carousel portion, or in other words the headline and picture ranks. CNN’s visibility continues to go up and up, but Fox News dropped from Position 2 to Position 5 since March. Once again, we see Fox News has dropped lower in visibility in Google News for April 2018. 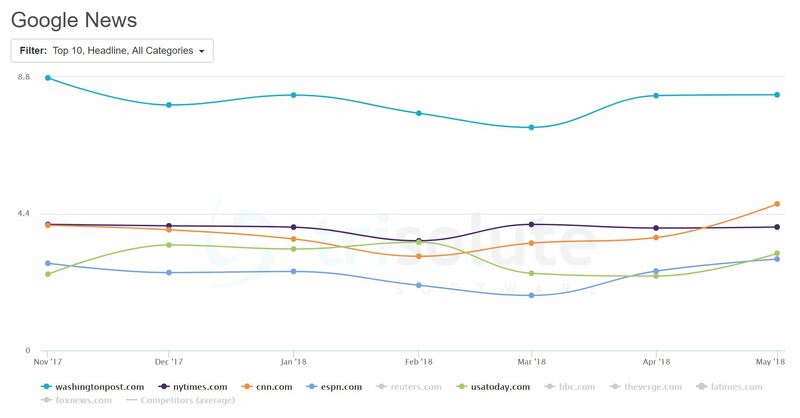 Next, we took a look at which publishers dominated Google News (news.google.com). Again, we see Fox News has dropped down, in this case out of the Top 5, and newcomer ESPN moves into the last position. The publisher list remains the same from Mobile News Boxes (and last month) with the exception of the sports website. 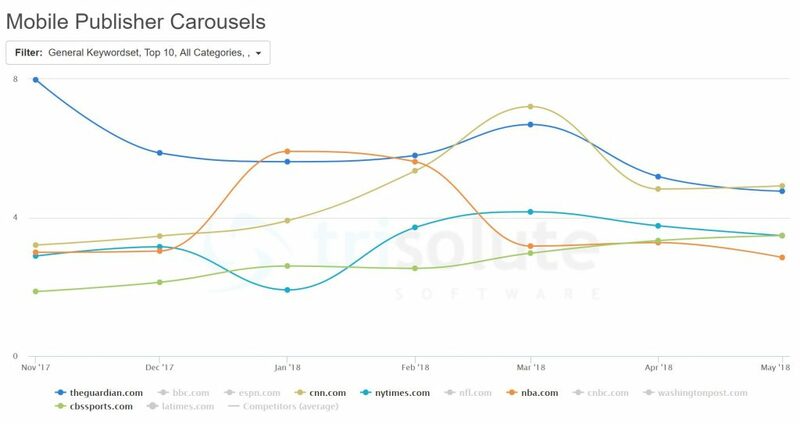 Top 5 publishers during April 2018 in the Publisher Carousels, which appear only on the mobile Google SERPs and look similar to the carousel portion of the News Boxes, but with all the articles from a single publisher. 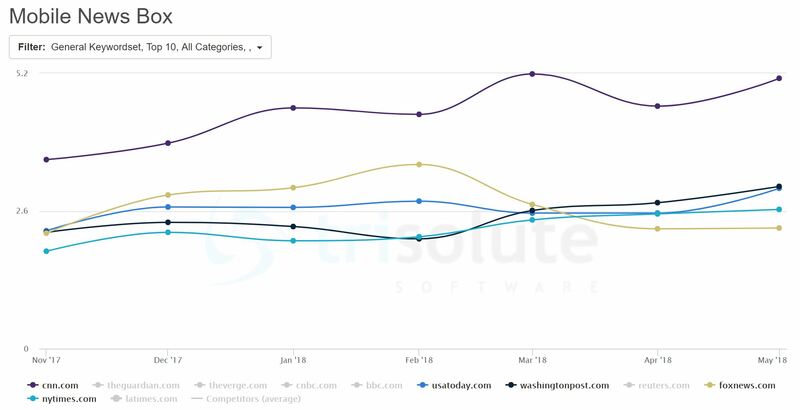 In contrast to March, two sports-specific publishers have joined the Top 5, with one most visible for a football keyword and the other for a basketball keyword. The Guardian overtakes CNN this month, and switches from “russia” to “syria” as its most visible keyword.